It's a new year, the perfect time to start working through all those extra little jobs you've been putting off. We've picked out Top 10 Retail Resolutions to keep in 2016. Mobile optimization is fast becoming a retail essential, and it’s important to make sure your business doesn’t get left behind! With 41% of millennials making purchases through mobile, these numbers are estimated to continue growing. As customers become increasingly digitally focused, ensuring your retail store has a mobile-optimized online presence is a surefire way to give your business an edge. The good news is, it doesn’t have to be hard to implement. 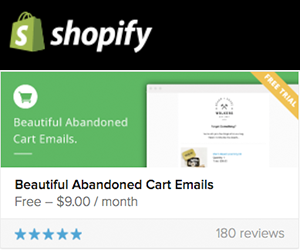 Many eCommerce tools such as Shopify, or email marketing tools such as MailChimp automatically ensure your content adapts for mobile, without you having to get too bogged down in the techy details. Did You Know? Those who shop via mobile will spend 66% more than those who only shop in-store while 40% of people will choose a different search result if the first is not mobile friendly. Having staff that know your store, products, and your customers is essential to the success of your business. High staff turnover not only costs finances and time, it can also cost your customers a great experience. It’s important to make sure you take the time to invest in training your staff so they feel valued in your business, and can also deliver the very best customer service. Simple steps such as asking for your staffs’ input, or including them in your social marketing can be effective ways of ensuring that they feel committed to their role in your business and more satisfied. Forbes contributor Ilya Pozin suggests that improving workplace communication, recognizing staff achievements, and rewarding your staff in creative ways are all effective ways of retaining your staff. Your customers love shopping with you and want to be rewarded for their loyalty. 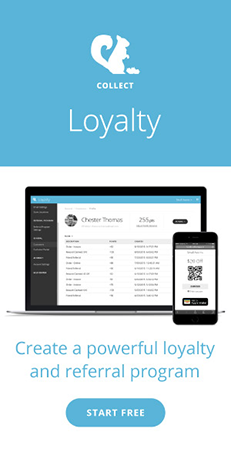 Implementing a smart loyalty program is a good way to encourage retention and repeat shopping. 62% of consumers don’t believe that the brands they’re most loyal to are doing enough to reward them [ClickFox], so make sure your business isn’t one of those statistics! When looking for a program, select one that is flexible, easy-to-use, and will allow you to reward your customers in a way that encourages loyalty. As you evolve your online presence this year, make sure you continue to add images of your stock and wares. eCommece platforms like Bigcommerce and Shopify allow users to easily manage their online presence and keep it updated and streamlined. Click-and-collect is where your customers make a purchase online, and then come pick up their product in-store. While showrooming was initially a major concern for many retailers, click-and-collect shopping has had a surge lately, meaning big benefits for brick-and-mortar retailers with an online presence. Customers are offered so many different options and they expect their shopping experience to be instantaneous, immediate, and hassle free. By enabling click-and-collect for your retail store, you’re ensuring your business doesn’t miss out. According to TrueShip, The average shopper will spend over $1,200 per year at online stores. That number increases when you take into account the profit available from click-and-collect purchases. Tip - Your customers are often browsing a million different pages at once when they’re shopping around, so it’s important to ensure that your eCommerce store is fully responsive and friction free. Sending out regular emails which improve your customer engagement is becoming increasingly important as a cost efficient and effective way of effectively marketing your business to your customers. 44% of email recipients made at least one purchase last year based on a promotional email [Convinceandconvert], so make sure your emails share your business and products with your shoppers and keep them in the loop about what’s going on in-store. Email marketing is effective because it connects with your customers in a way that’s personal, yet requires low input, and has a great return on investment - For every $1 spent, $44.25 is the average return on email marketing investment [Experian]. Data is the key to making educated decisions for your business - The more you know your customers, the more you can personalize their customer experience. Using a loyalty program or email marketing tool that gathers customer data, such as name and gender, is a great way of beginning to practice basic segmentation. This also ensures that your customers receive messaging that’s relevant to them and targeted. Did You Know? Little details such as your staff asking for your customers’ name during a transaction has been proven to increase spend rates. So make sure your staff are confident and personalizing each customer’s experience. Make 2016 the year when you try something different for you business. An event can be a great way of promoting something new in your business, like your loyalty program or new stock arrivals, and get your customers excited and talking about your store. You might want to extend your hours, have your staff dress up, offer spot prizes, or theme your business for a day.here’s endless possibilities for how you can change things up for a day - and don’t forget to take photos to share across your social media pages! Need some inspiration? Read these Guides to Event Based Marketing for Retail and hospo. When you really wow customers, they become ambassadors for your business. Take time this year to get your staff in the habit of wowing your customers and offering them the very best customer service experience. Whether you're a small boutique or own multiple stores, it’s possible to provide your customers with personalized service. Encourage your staff to be creative when serving customers - building long-term loyalty is about making your customers feel special and important. There are many benefits to having your marketing organized early. Not only does it give you more time to get strategic about your marketing, it also takes the pressure off you!With your marketing prepared early, you can get your staff involved in distributing and posting your social content during their work day. Starting the new year with marketing prepared around different events (e.g. New Years, Halloween, Easter, Valentine's day etc.) takes a huge weight off your shoulders! Need some creative ideas for marketing your retail store? Get inspired with this Best in Retail Marketing list. Retail Meetups can be a great way to research, swap ideas and suggestions with fellow retailers, and get inspired. They allow you to get really nerdy about the running of your retail business with others who share your passions! Alternatively, there are many great retail conferences and events which can be great places to gain inspiration, community support, or make new connections. shows the latest news and retail events in your area while Vend’s top 20 Retail events has suggestions from all over the globe.